Tesla Motors is the first Silicon Valley carmaker. Today it is an American high-tech company manufacturing electric sports vehicles. The idea of creation «of an electric super mobile» came to the head of engineer Martin Eberhard. Once he desired to have a sports car with too high demands concerning combustive-lubricating materials. He wonderfully knew about storage batteries, but probably not about cars. Otherwise, he would not set himself such a task. Fuel economizing and high speeds are incompatible things. Having learned that automobile industry was unable to satisfy his desire, Martin decided to design himself a car running from another source – lithium-ion accumulators. Great money was required for implementation of this project. The engineer was looking for sponsors for a long while and they were found: Elon Musk of PayPal and the famous couple from Google, they are Sergey Brin and Edward Page known for their weakness for everything innovative and unusual. In 2003, due to their support, a new company called in honor of the great Serbian scientist Nikola Tesla, who already in 1931 had developed his own model of electric vehicle, was founded. Another engineer – Marc Tarpenning– became the co-founder of the company. The first electric vehicle was based on the series gasoline model Elise of the Lotus Cars Company. Just its contents were radically changed. For example, the place where the engine had been before, the miniature accumulators 6381 were located. Such a complex system required a special cooling system. The founders of Tesla Motors as it is known did not know about cars, but therefore began to attract specialists from the same Lotus Cars Company, which almost ended with a scandal. In total, around hundred people worked in the company in that time. It was decided that the emblem of the Tesla Motors car should consist of the car name and a sword like a letter Т, which symbolizes rapidity and speed. The first model – the Roadster Auto – is supplied with an engine of variable current, which originates from a project of Tesla herself in 1882. The speed capability of the vehicle is 100 km/h in 4 seconds; it also reaches the maximum speed of 210 km/h. There is enough charge for 400 km of mileage. One can «fuel» the electric vehicle with the help of an ordinary outlet. The cars premiered in sale in June 2006 at the price of 100.000 US dollars. There is even such a celebrity as Arnold Schwarzenegger among the buyers. Since 2008, the production became mass. It was decided, that the emblem of the Tesla Motors car should consist of the car name and a sword like a letter Т, which symbolizes rapidity and speed. The shape of the logo is created in the form of an armor shield. The plan was to compound modern high-tech trends with a genuine feeling of security and force. Moreover, be the emblem its establishers want to say that electric engines can be not less powerful and endurable than gasoline motors. Does the Tesla symbol have a hidden meaning? The most obvious explanation of the sleek emblem designed by Prado Studio seems quite simple: it’s just the first letter of the company’s name. Yet, as far as the automaker has never officially confirmed this explanation, many people think that there can possibly be a hidden meaning behind the Tesla symbol. So, what can the badge mean apart from what is on the surface? 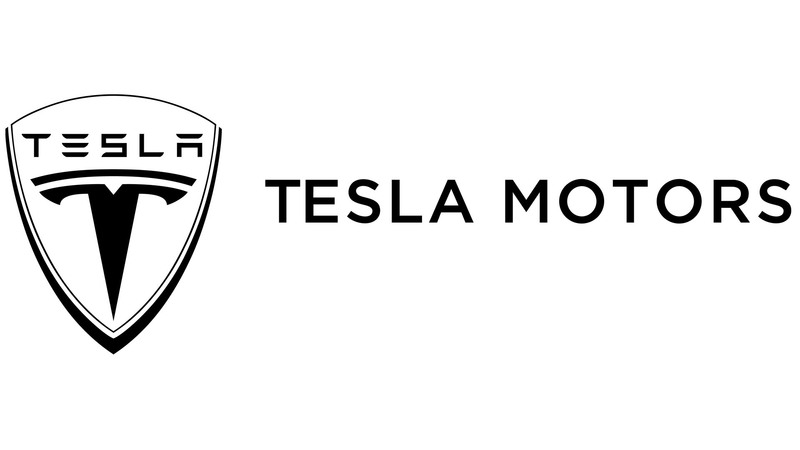 In fact, the Tesla emblem is abstract enough to allow a lot of explanations. Until the company gives an official explanation, none of the hypotheses mentioned above should be ignored. Silver and black colors are presented on the emblem. Letters of the logo are in black, and they are imbordered by a silver shield. Such tints are connected with such notions as creativity, innovations, and style. The car is easily recognizable by the special Tesla badge. 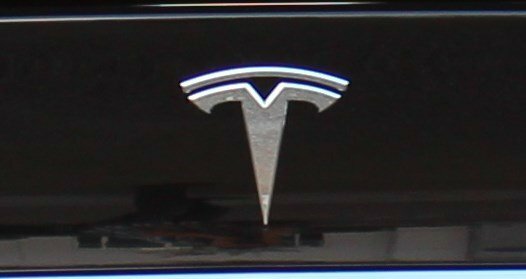 The stylized letter “T” appears on the front grille of the model S, leaving no doubt as to what the manufacturer of this car is. In addition to this, each car bears a silver Tesla Model S logo, which is a distinctive feature of this range. The inscription “Model S” is made in a custom font.